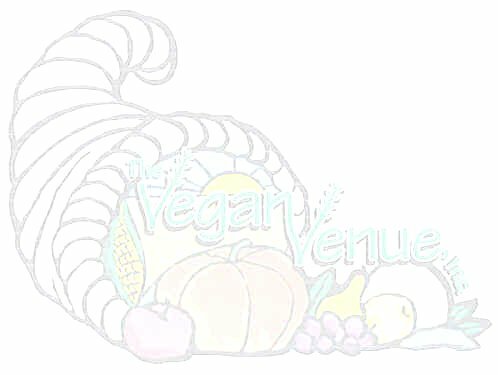 What We Are Trying to Do — In addition to events and activities to further the vegan movement, one of our first major projects is a wholesale co-op for members and local residents. While we are looking for a location, we have already started, and you can join in by contacting us for more information about products, costs, order and delivery dates. Another of our goals is a concession vehicle to travel throughout the area to festivals, malls, grand openings, and other food venues—to take our show on the road. What Else We Do — We donate food and information to groups in an effort to spread the word about how to save ourselves, the planet and the animals. We have a Cable Access T.V. show. We offer catering for special events, and we are available for educational presentations as well as cooking classes and demonstrations. What We Never Thought Of Doing — If you have any ideas about how we might improve our efforts, if you have a favorite recipe you’d like to “veganize” or an unanswered question, please feel free to contact us and share your stories.